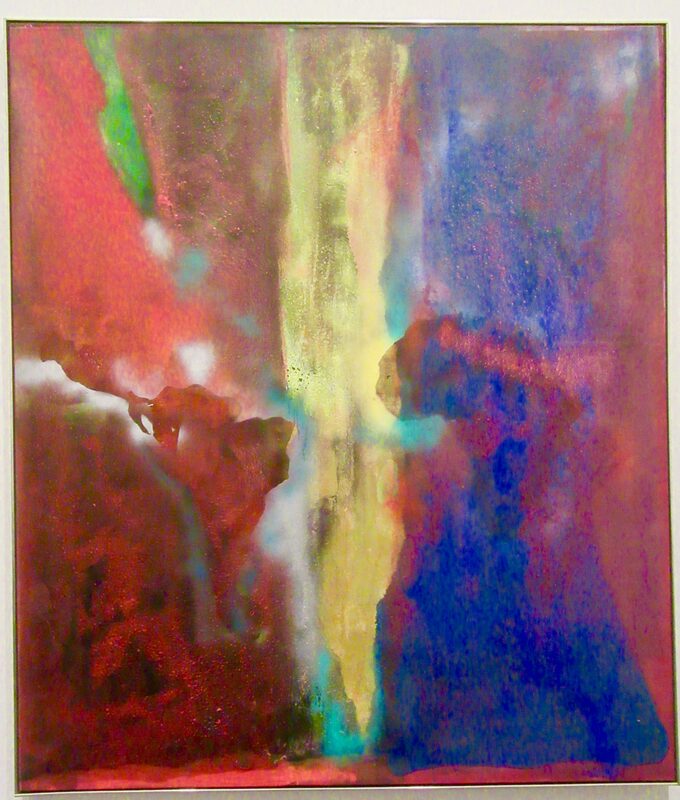 Night Journey (1969 —70) belongs to Frank Bowling’s Map series (1966 – 71), a group of mostly abstract paintings composed of broad fields of color into which the artist placed the continents of Australia, South America, and Africa. Here, the barely discernible shapes of South America, in red at center left, and Africa, in blue and pink and center right, hover in his luminous composition. The yellow area between them evokes the Atlantic Ocean, the maritime highway that facilitated exchange and, most importantly for Bowling, the slave trade. Using the conventions of modern painting about 1969 — 70 in New York, where he worked at the time, the artist evokes the displacement and migration of Africans.